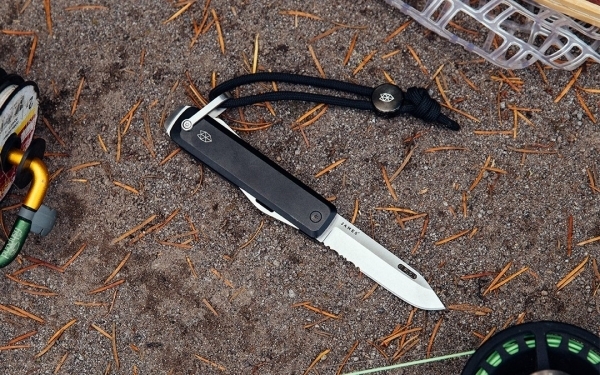 If you've seen photos of what people carry every day, you might be wondering, “why do so many people carry a pocket knife?” The answer is different for everyone, but it all comes back to the idea that a handy pocket knife is an indispensable tool. People use their EDC knife everywhere, whether they're at work (say, opening a package) or at home (making a quick repair around the house). Having a knife can also potentially save your life in an emergency (cutting a seatbelt) or in a survival situation if you spend time outdoors. That said, knives may be restricted depending on where you live and what your local laws are, so be aware of those before deciding what kind of pocket knife you can carry. When picking the best pocket knife for your everyday carry, you should consider a bunch of factors: how big the knife is, how it opens, how it locks (or doesn't), how you'll carry it, how durable it needs to be, and so on. Remember, you'll want a knife that's comfortable (both in your hand and in your pocket), built to last, safe to use, and legal to carry. 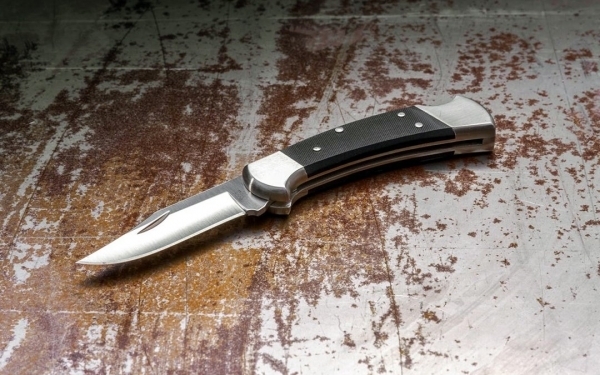 For a few ideas, check out our guide to the Best Pocket Knives Under $50. If you live where knife laws are a bit more strict, check out some of our non-locking blade recommendations too. Because different people have different requirements their knife needs to meet, you'll find tons of different kinds of pocket knives. 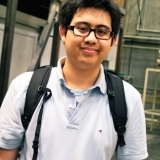 They serve different purposes, have different designs and styles, and come at a range of different price points. Some are classic and recognizable, like the all-in-one Swiss knives with multiple tools built in, or the traditional old timer knives your grandpa used to carry with wood or bone handles. Tactical knives and fast-opening flipper or flip knives are more popular these days for their advanced features and attractive designs. Scroll down to discover some of the best and most noteworthy pocket knives on the site. When you think of a minimalist EDC knife, it's likely you don't have a fixed blade in mind. But when you think of it, a fixed blade is actually the height of minimalist design when it comes to knives: there's no complication involved in folding the blade up and getting it ready to go when you need it. You can simply unsheathe the knife, get to work, and put it right back away while you go about your business. 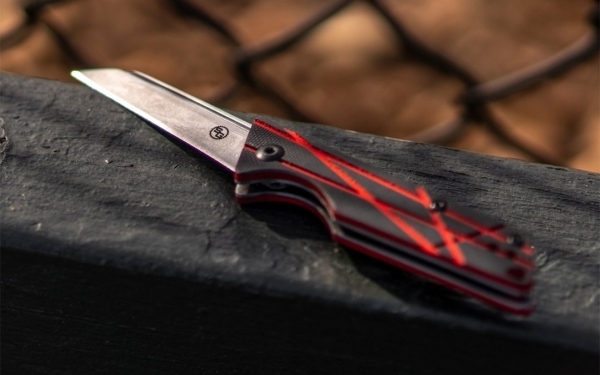 The James Brand has taken that simple formula and mixed it with the minimalist design language that they've become known for in making their brand new Hell Gap knife. The premium materials and made-in-USA construction make it a top-notch, reliable tool, and the smart looks of the design give it an attractive aesthetic and a low profile. Whether you take this knife outdoors to its namesake, the Hell Gap archaeological site in Wyoming, or carry it on your belt as a daily driver, it's a compelling choice for a hard-working EDC. The blade on the Hell Gap is the star of the show here, with a no-frills design and the performance you'd expect from a knife made of premium materials. Other knives boast about the superior strength and hardness of Crucible S35VN stainless steel, but there are still compromises to be made when it's used on a folding knife. None of that applies to the Hell Gap, which provides you a potent 3.8” saber-ground S35VN edge on a full-tang, fixed blade knife that has no moving parts to fail or collapse on you, even during the roughest of use. The canvas micarta handles will also stand up to wear and tear from use both indoors and outdoors, while the grippy nature of the material offers solid control to make precise cuts. And unlike other fixed blade knife designs that skew towards something out of high fantasy or science fiction, the Hell Gap takes a less-is-more approach with a simple and effective drop point shape. There's a distinct lack of huge branding and tactical cues like aggressive serrations, resulting in a utilitarian look with performance that speaks for itself. Despite its big performance, the Hell Gap remains relatively small enough for EDC. At 7.8” overall, it's the right size to carry on your belt, in a pocket, or with your gear. To accomplish that, the Hell Gap comes with its own fitted kydex sheath. There's also a lanyard hole at the pommel of the handle for carry that way if you prefer. This makes it easy to find and retrieve if you leave it in the glove compartment of your truck or pack it in a gear bag for a hike, for example. With the Hell Gap in hand, you have a knife that you can count on when the stakes are highest and you can't trust a folding knife. The James Brand stands by their made in the USA knife with a limited lifetime warranty. Learn more about the James Brand's newest knife, available now at the link below. This is a sponsored post presented by The James Brand. When you think of a Case knife, chances are you have a traditional gent's folding knife in mind. But make no mistake, Case is no one trick pony. 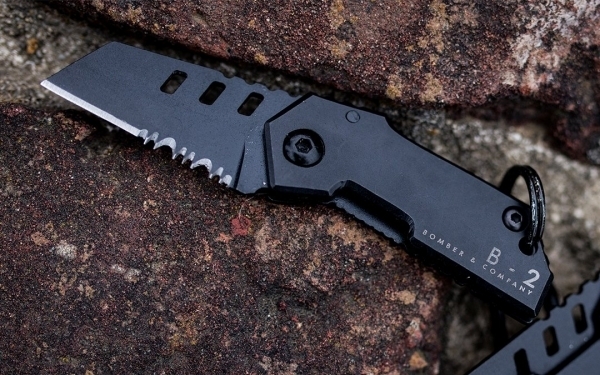 One look at their new CG01 knife and you'll see it's not your grandfather's knife. A collaboration with Southern Grind breathes a modern life into the traditional design, with premium materials to boot. Whether used for traditional work or carried for modern utility, the CG01 is an attractive carry for every occasion. Unlike the older gents knives in the Case line, the CG01 features a respectable and modern S35VN stainless steel on its blade. It's orders of magnitude harder and more durable than the old time knives, and it takes a wicked edge that'll stay sharp and stand up to constant daily use. 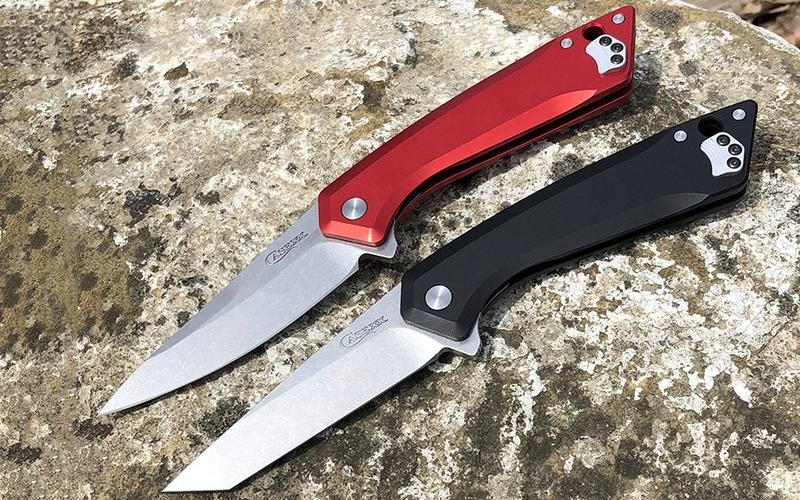 The 3.42” blade is available in a drop-point shape that's great for cutting and slicing; and if you do more piercing tasks, the CG01 is also available in a tanto variant. And unlike traditional Case knives, with their two-handed nail nick deployment, opening the CG01 is easy thanks to its quick index flipper tab. The modern design notes extend to the 5” anodized aluminum handle, with a streamlined silhouette that's long enough for you to get a full grip on the knife while you work. Gone is the lockback mechanism you find in older Case knives, and in its place you get a secure frame lock that'll stand up to hard use. With the CG01, you get a Case knife that's relevant for modern EDC with its performance and features while keeping a design that evokes its traditional roots. Check it out and pick one up for yourself at the link below. Some tactical folding knives tend to be too ungainly for most people's EDC, an unavoidable consequence of having a large blade and handle as part of the design. 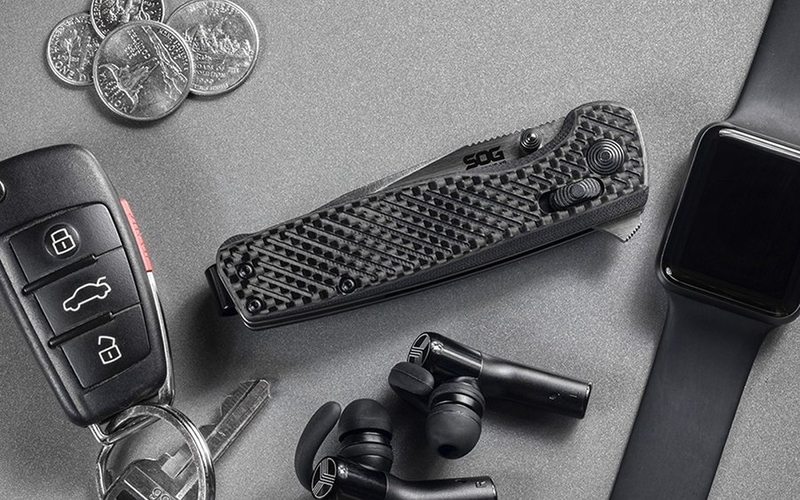 With the new AD-15, Cold Steel has put ergonomics at the forefront with an innovative and easy-to-use ambidextrous lock and a sleek design that can tackle almost any task. 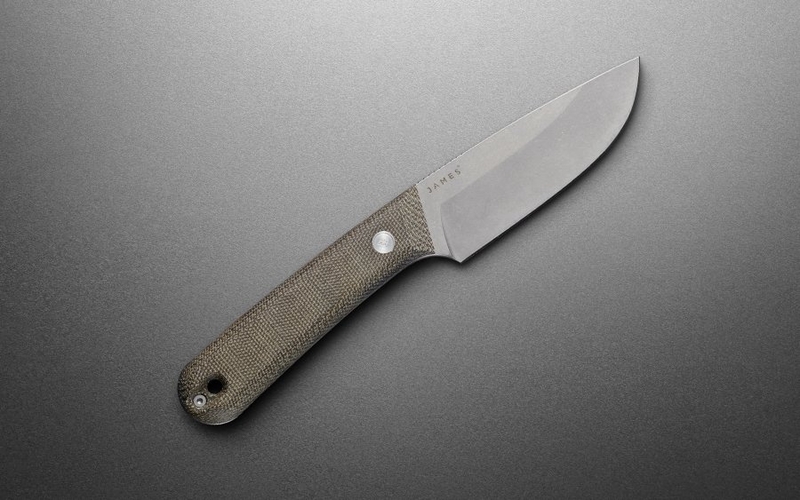 Built around the Scorpion Lock, the AD-15 is the brainchild of Cold Steel's head of R&D, Andrew Demko. Together, they've brought technology from Demko's original custom knife to a more accessible and affordable EDC option. The secret to the Scorpion Lock's ease of use is the compression spring built into the rear of the handle. This allows the top steel liner to move in behind the spine of the blade after it's opened manually with a thumb stud. The spring mechanism, the liner, and your grip on the knife itself help keep everything in place during even the roughest of use. And because all it takes is a simple upwards lift of the steel liner to disengage the lock, closing the blade is as easy as making a single wrist flick with either hand. And when it comes to actually using the AD-15, you'll appreciate its premium sub-4” S35VN stainless steel blade for its hard sharpness and superior edge retention. The saber-ground edge, combined with the spear-point blade shape, makes the AD-15 great for all sorts of cutting, slicing, and piercing tasks. The top jimping on the spine and the tactical false edge at the top of the blade help you manipulate the blade for fine control when you're doing more delicate work. A deep, ergonomic cut out in the grippy textured G10 nylon scale further enhances your control of the blade. When it's all said and done, you have plenty of ways to carry the AD-15 thanks to its left- or right-handed tip-up carry pocket clip. 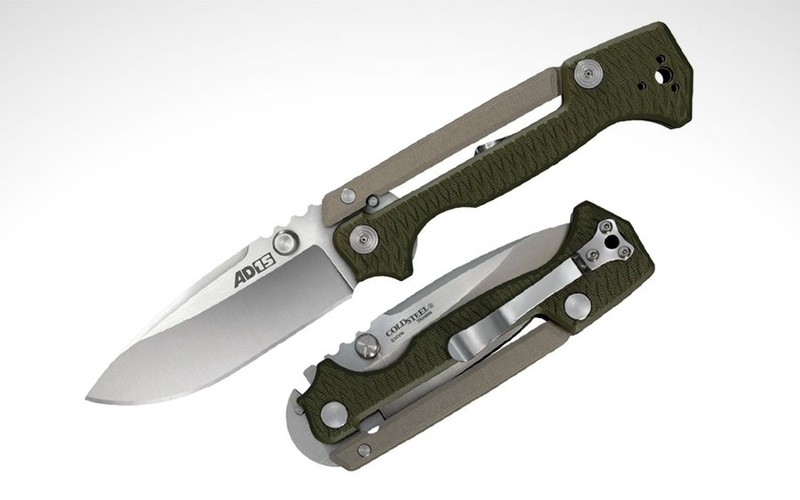 The best part is that the AD-15 is no longer a custom exclusive knife, Cold Steel has finally made it available as part of their regular line of everyday carry knives. Take this opportunity to add this unique and capable tactical knife to your gear ensemble, and purchase it today at the link below. There's a lot to like about tactical knives: they're made for in-your-face performance, with zero apologies given. But their typically larger size, their look, and their aggressive features might lead to more trouble than it's worth in some places. There are also times when you just don't want to carry a bulky knife. That's where the B-2 Nano Blade from Bomber & Company comes in. Billed as the world's smallest tactical knife, this micro-sized EDC folder fits tactical features in a compact size. And even better, readers of the site can score one for their EDC at 30% off. Stealth is the name of the game when it comes to the B-2 Nano Blade, and like its name sake, the B-2 Spirit stealth bomber, it's designed for discretion. It starts with its incredibly small size for a folding knife: at 3.14” overall, it's smaller than the blades of most compact everyday carry knives. It's also featherweight, weighing in at less than an ounce. The 1.18 inch 440C stainless steel blade also falls very much underneath most size restrictions you'll encounter on a day-to-day basis. But its thoughtful design still lets it perform like bigger knives: its reverse tanto shape makes it great for utility box slicing, cord cutting, and fire starting duties, among many others. The combo serrated edge makes short work of rough cuts despite the size. In keeping with the streamlined stealth theme, there are no annoying flipper tabs to accidentally actuate while the knife is in your pockets. Opening the B-2 Nano Blade is a two-handed manual affair, with the three eye holes cut into the blade itself. In terms of control, there's a significant amount of jimping on the top of the blade for fine work, and a solid frame lock holds it all in place during use. The 1.8” handle has just enough length to get a grasp on the blade, and there's a hole for keychain attachment or a lanyard for easy carry options. Fully opened, you can make out the wing shape that evokes the B-2 knife's namesake. But unlike a stealth bomber, the B-2 Nano Blade slips right into your pockets until the next time you need it. And for a limited time, you can save 30% off on one of these stealthy EDC knives with the code “EDC30” at the link below. This is a sponsored post presented by Bomber & Company. Making an ideal everyday knife is a daunting task. From size to shape to steel, there's a lot of thought that can go into making one as versatile as possible. And though a fixed blade carried in a leather sheath isn't a common pick for an EDC knife, if there's anyone who can make one to the highest standards, it's Trayvax. 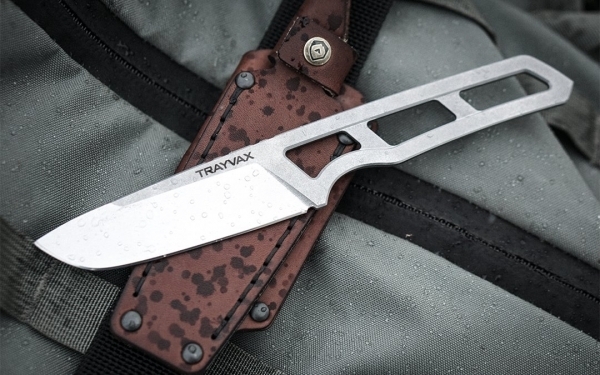 For the past 5 years, Trayvax have been making some of the most popular wallets, belts, and accessories for EDC, and the latest product to demonstrate their prowess with leather and metal is the Trek Field Knife. From simple everyday tasks to rigorous field duties, they designed the Trek with thoughtful details and the best materials on the market to create the toughest and most reliable knife you can carry. The Trek kicks off its features with its minimalist, CNC-machined design. Its business end features a 3.5” blade with serious attention to detail, such as a 40-degree leading edge that makes for a durable tip and a condensed belly with a sweeping edge for control and precision for even delicate slices. It also comes with a long, 3/4 flat bevel grind that allows for consistent performance when using the Trek for chopping or batoning tasks while retaining a full spine for strength. A skeletonized handle makes up the Trek's second half, which maximizes its minimalist design. The “cutouts” allow for light weight while maintaining structural strength, and also offer customization by allowing you to use paracord or custom handles to make your Trek uniquely your own. The bottom of the Trek's tang ends in a blunt spear point, letting you poke or pierce if the need arises. Two of the highest quality steels were selected for the Trek, standard 440C and CPM S35VN premium steel. The more affordable (but highly capable) 440C is a high-carbon, high-alloy steel, whose unique composition allows for precise hardening and sharpening. The CPM S35VN option is one of the highest tiers of steel used for high-end knives, offering exceptionally hard and highly-resistant performance while still allowing ease of maintenance. The Trek's minimal fixed blade design leaves little room for carry options, but this is where Trayvax's leather expertise comes to play. Each Trek comes with a custom 6 oz vegetable-tanned leather sheath sourced from the elite Horween Leather Co. tannery, which may be familiar if you've ever owned a premium leather wallet or bag. The sheath comes in two options, one with a combo layout allowing for both vertical and horizontal carry, while a traditional layout that allows for low-riding, right-handed carry. The entire process of making the Trek Field Knife from its materials to manufacturing is 100% sourced in the USA, and backed by Trayvax's 65-year heirloom warranty. Their Kickstarter campaign is already completely funded with plenty of time for you to pledge, with stretch goals in the works for an even more customizable final product for backers. Check out the Trek's campaign page at the link below. 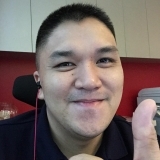 This is a sponsored post presented by Trayvax. Sometimes you don't need every feature under the sun for gear to perform well. When you want a no-frills, high-performing knife, it's better to get back to the basics. The WESN Allman is a sturdy, compact folding knife designed to do just that. This premium, minimalist EDC knife features an elegant design made of premium materials that deliver top-notch cutting potential. And if you remember WESN's successful Kickstarter for the Micro Blade, think of the Allman as sizing it up for the better. The Allman, like the Micro Blade before it, sports a unique modified clip-point blade with a stout profile that makes it a strong tool while keeping things discreet at 2.75” in length. The design offers a beefy straight edge for larger utility tasks, a fine belly for delicate slicing, and a strong tip for piercing through the toughest of objects when you need it. And because it's made of premium S35VN steel, you can rely upon the hard blade on the Allman to maintain an edge through repeated daily use. That premium edge is paired with your choice between a minimalist precision-machined titanium handle and a durable, grippy G10 scaled version of the knife. With the titanium version, you get the benefit of a full frame lock, while the G10 comes with an equally-respectable liner mechanism to hold the blade in place despite rough use. Either way, you get a 3.8” full-size handle that's big enough to get a firm grip. 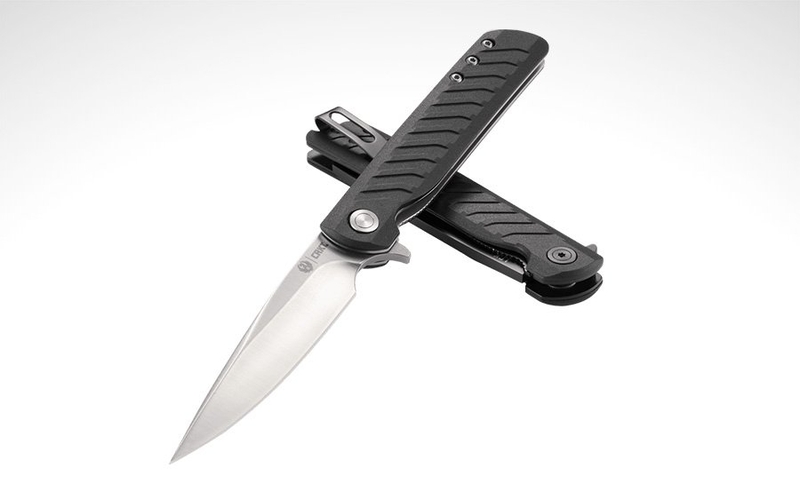 And with its high-index flipper tab, the knife is easily opened a single hand, especially with ball bearings in the pivot. For carry, you can use the titanium clip to attach the knife to your pockets, but there's also a gorgeous natural vegetable-tanned leather sheath if you prefer a more classy, timeless option. 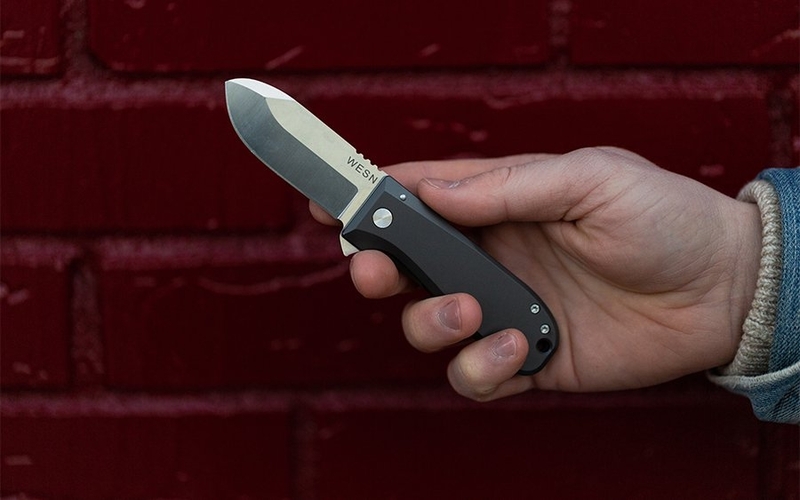 With the WESN Allman, you get a no-nonsense, highly-practical everyday carry knife with a smart design made of premium materials featuring a unique and handsome minimalist aesthetic that doesn't go overboard. You can reserve your very own WESN Allman today, in the configuration of your choice, at the fully funded Kickstarter link below. When it comes to work knives, safety and reliability is key. The last thing you want is for your knife to break or buckle when working on tough tasks and materials. 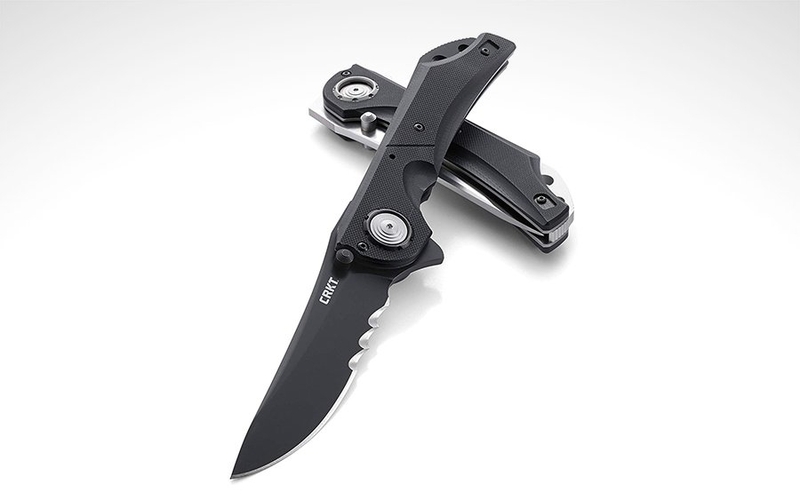 So when it came to the Flavio Ikoma-designed CRKT Seismic, right next to ease of use and utility is an innovative locking mechanism that takes blade lockdown to the next level. Taking inspiration from bank vaults while still offering a blade that's simple and easy to use, the Seismic is an incredibly strong contender for your next work knife. With 3.969" of 1.4116 stainless steel to work with and a long belly offered by its drop blade shape, the Seismic is suitable for any cutting task. Towards the handle you'll find Veff serrations, a different take on the standard 3-point style that's easier to both manufacture and maintain. Blade deployment is two-fold, with your choice of thumb studs or a flipper tab for ease of one-handed opening, with the latter paired with an IKBS ball bearing pivot for a quick and smooth action. Speaking of action, the Seismic's handle is where it all happens. Forgoing the usual liner or framelock, CRKT are instead introducing their new Deadbolt lock, which is exactly what its name suggests. Beefy steel bolts interlock with both the blade and the liners much like how it would secure a safe or a door, offering an unprecedented lockdown while deployed. No slip, no play, just an incredibly strong lock. It's also as simple as it is strong, with a single large button at the pivot that disengages the lock while keeping your fingers away from the blade's path while it's closing. Textured and contoured G10 handles offer a solid grip in hand, while a skeletonized backspacer and clip give you versatile options for EDC. The CRKT Seismic sets a new standard as a secure and strong slicer, and it's a solid choice for when the tasks get serious. Check it out at the Amazon link below. For a knife to be “minimalist,” it doesn't always have to mean it sports an understated design that's stripped of features. Minimalism can go beyond looks, instead focusing on letting you do more while carrying less. The James Brand Ellis has a unique balance of uncluttered design and all-round versatility that's worthy of your minimalist EDC. With a competent blade for cutting tasks and an integrated multi-tool for almost everything else, it'll cover your bases, look good doing it, and free up some pocket space to boot. The business end of the Ellis features a stout 2.6” modified drop-point blade that maximizes the cutting potential of the blade while keeping it compact. The blade is made out of a highly corrosion-resistant Sandvik 12C27 stainless steel that sharpens up to a nice edge. And because the blade has a mixture of straight edge and serrated surfaces, it's a good all-around cutting tool for your everyday carry. Opening the blade is a classic two-handed affair, made easier with the nail nick in the blade. A sturdy lockback mechanism holds the blade in place during use. When you're done with the knife, fold it into the anodized aluminum handle, and it's there where the design of the Ellis truly shines. Like the gentleman's knives of old, the Ellis has a second tool built into the design, which opens just like the knife. But instead of another blade, the Ellis gives you a screwdriver and bottle opener. And because of the smart design of the Ellis, you get a full-sized handle that you can use to leverage these tools to the best of your ability. It doesn't stop there: at the pommel of the knife is a combination scraper and pry bar, handy for those who would otherwise use their knife for that task despite every warning not to do so. For easy of carry, the back of the Ellis comes with a bail for attachment to a lanyard. If you prefer to carry it in your pockets, the 2.8 ounce weight makes it a no-fuss accompaniment to your curated carry. And with its good looks and intelligent features, you can use the Ellis to pare down to the essentials, making your life easier by shedding redundancies. The Ellis is available now, in three different colorways including black, silver, and a stand-out electric moss green. Check it out at the link below. Sometimes you can take one look at a knife and know it can do some serious work. We're talking about the kind of knife that looks like it can do more than cut open the occasional package in the mail (or for some of us, much more than occasional…). Something with enough heft to get big jobs done, but still entirely pocketable to be your daily driver. 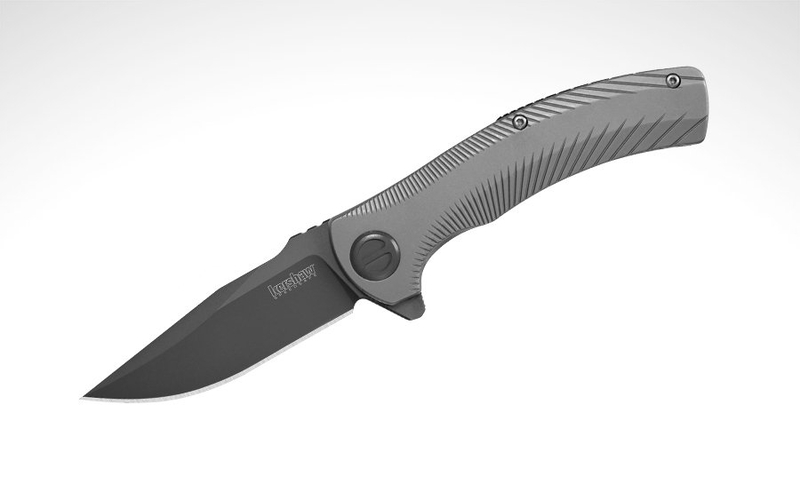 The new Kershaw Seguin is one of those knives. This Les George collaboration sports a beefy design with a versatile blade to boot, featuring the kind of ergonomics that make even the toughest tasks feel a bit easier. The solid build of the Seguin (that's pronounced Seh-geen, by the way) starts with its full-sized 4.25” stainless steel handle. Its length, mixed with the ergonomic contours, lets you get a firm grasp for full control over your work. And unlike most knives that have metal handles, the Seguin enjoys an aggressive machine-etched texturing on the top, bottom, and sides of the blade that make this knife easy to grasp even when things get slippery. The business end of the knife is impressive as well, with a modified clip-point shape making the Seguin reminiscent of a pocket folding Bowie knife. Fitting, since the namesake of the Seguin was a hero of the Texas Revolution. The 3.1” 8Cr13MoV blade has everything you need, from a solid point for piercing, a curved belly extending to the tip for slicing, and a straight edge for rope and other utility tasks. To match the stainless aesthetic of the handle, the blade is treated with a PVD coating, which also increases its hardiness against the corrosive elements. 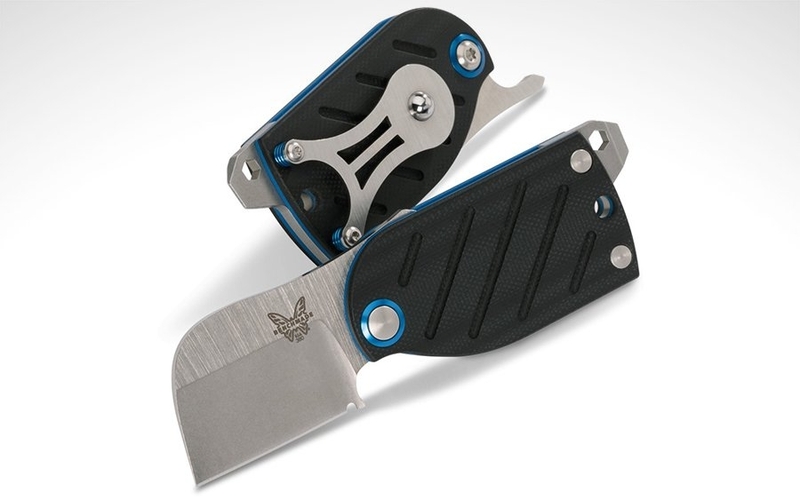 The large index flipper tab and SpeedSafe assist makes opening the blade an easy one-handed motion. There's added jimping on the index flipper for control that doubles as a finger guard in the open position. And because there's a frame lock in a handle, you can be certain the blade won't close up on you accidentally while you work. Once you're done with the Kershaw Seguin, close it up and let it disappear into your pockets with the single-position deep-carry tip, a welcome addition to a pocketknife of this size. With how versatile it is, you'll appreciate the build quality as you'll find yourself using it again and again as part of your everyday carry. Pick one up at the link below. When it comes to your everyday carry knife, you want something that can get things done, even if it means the dirty jobs. 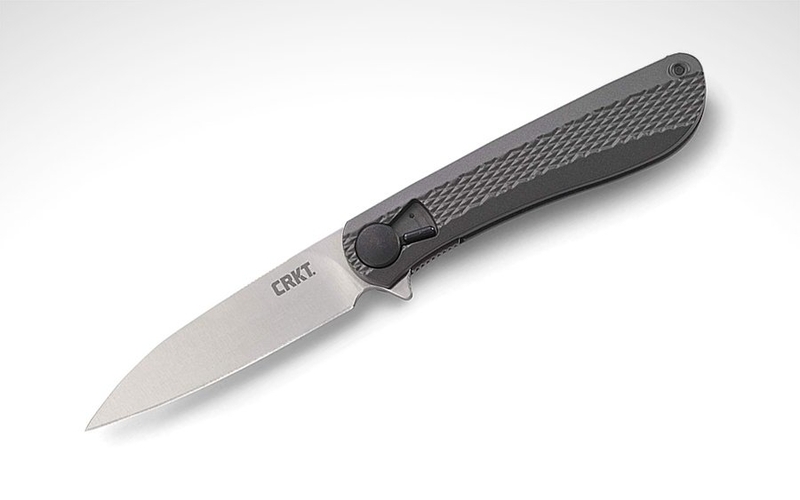 But don't let this knife's name fool you—the CRKT Slacker designed by Ken Onion is far from it. Based on a custom knife he made to be his personal EDC, the Slacker is a minimal design featuring CRKT's innovative Field Strip technology. It's one of the few easy-to-disassemble knives with an elegant, low-profile design without the bulk that other Field Strip knives tend to have. The end result is a highly-practical and functional knife that's well-suited to be your daily driver. The smooth curves and organic lines of a Ken Onion design are visible everywhere you look with the Slacker. It starts with the slender 3.324” modified drop-point blade with an attractive satin finish with an 1.4116 stainless steel edge made to excel at everyday cutting and slicing tasks. The slight curve at the top of the blade makes it easier to manipulate in smaller spaces, and the jimping at the middle spine of the blade offers more control. And bringing the knife to bear when you need it is easy with its flipper opening, doubling as a finger guard at the bolster when deployed. The handle is made of aerospace grade 6061 aluminum, helping keep the Slacker lightweight at 2.8 ounces. But unlike a lot of knives with metal handles, the Slacker has diamond texturing at the side to help your grip when things get wet and slippery. And the curved lines of the handle also let you get a full grip on the knife despite its compact size. The centerpiece of the design is the Field Strip mechanism in the pivot, which lets you fully disassemble the knife for maintenance, without any other tools necessary. It's good for routine fixes, but it really shines in the outdoors after taking on tough and dirty tasks. But whether you take the Slacker out to the field or in your pockets during your daily commute, it's ready to take on any challenge you meet while looking good to boot. Check it out at the link below. With over a dozen successful product launches under their belt, StatGear doesn't need help when it comes to creating quality designs for your everyday carry. 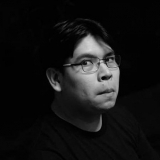 But they still recognize the value of feedback as a driving force for truly great design. 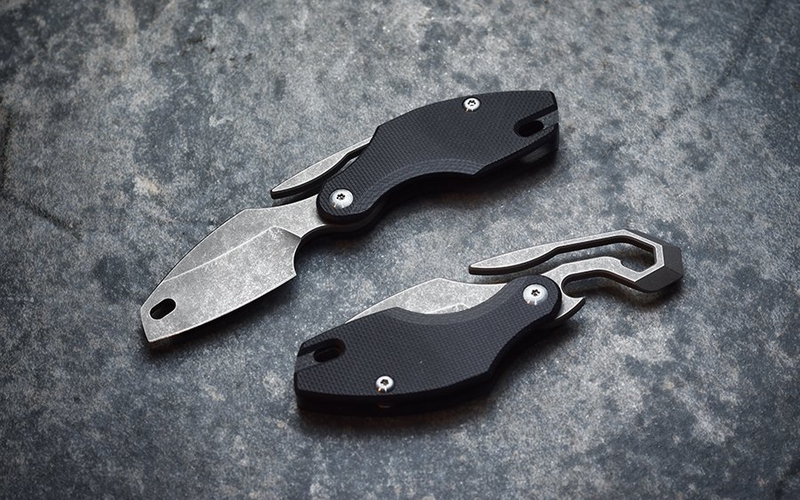 Their latest project, the Ledge Pocket Knife, brings the same rugged materials and utilitarian design language of their past successes, but boasts a new set of features specifically requested by the EDC community. The result is a modern take on a classic slipjoint knife, complete with both practical and visual improvements to a traditional design that makes it worthy of any EDC today. By popular request, the Ledge forgoes any locking mechanism and instead operates as a two-handed slipjoint like pocketknives of the past. It's an especially welcome decision for EDCers in locales with stricter knife laws, like in Canada or the UK. Of course, StatGear made a few tweaks to this classic design to make it more compelling in 2019. The Ledge is still a two-hand opening knife, but instead of a small nail nick, it features a full-length groove on the blade for easier deployment. The blade itself is made from hardy D2 tool steel as another upgrade from old school blades. It measures 2.5” long to give you just enough cutting edge to work with while staying compact and legal to carry in more places and features a flat ground, sheepsfoot blade shape for everyday versatility. The handle also clearly stands out on this modernized slipjoint. Two-tone, dual-layered G10 handles afford a confident grip, light weight, and durability while the angular design gives it a futuristic look. While you'd typically need to EDC a slipjoint loose in your pocket or in a sheath, the Ledge features a reversible, tip-up, deep carry stainless steel pocket clip. It makes for a discreet and effortless EDC that's ready at a moment's notice. 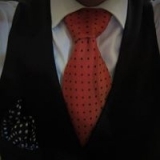 You can pledge for a Ledge in your choice of black, brown, or red at StatGear's fully funded campaign at the link below. It’s no secret that keys are annoying to carry, and while your average carabiner gets the job done EDCers always keep a keen eye out for the perfect solution. With their new half-keychain half-multitool hybrid knife dubbed the Prylobite, Pangea Designs makes a strong case for why their new campaign should be on your radar. The Prylobite is the logical evolution of their popular Pickpocket suspension keychain clip, but this time it packs an even bigger punch. Besides being a practical friction folder knife, the Prylobite offers a greay way to suspend your keys from a beltloop or pocket for easy retrieval and no more dreaded "pocket bulge." It puts a handy 1.7-inch S35VN steel blade with a gorgeous stonewashed finish right on your keychain. The suspension clip also doubles as a flipper tab, so one-handed deployment is a breeze. The clip flips up through the handle, resting perfectly under where you apply pressure with your thumb, which effectively holds the blade open while cutting. When not in use, the blade is mechanically locked closed via a micro carabiner attached through a well placed cutout in both the blade and handles. The integrated suspension clip alone makes the Prylobite unique in its function, but it has even more tools incorporated in its design. A good knife is solid part of any multitool, but simply holding your keys hardly qualifies it as multi-functional. That's why the Prylobite also has a few more tools built into the hook's design, giving you a bottle opener, pry bar, ¼” wrench, and bit driver all in one discreet package that fits in the palm of your hand. These tools weren’t an afterthought either, the same attention to detail went into their design as well. For example, the bottle opener was made with a claw geometry to ensure a perfect opening on the first try and the pry bar was added to prevent people from being tempted by misuse that would otherwise lead to a broken knife tip. Rounding out its utilitarian design are scales made of G10, an excellent material for EDC given its durability, light weight, and grip. 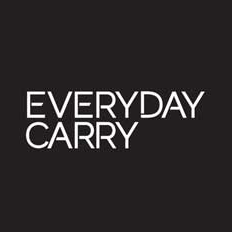 While the Prylobite is a great tool for minimalists or those trying to slim down their carry, almost any EDCer can benefit from adding it to their pockets even if it's as a keychain backup to their primary carry. For a closer look at the Prylobite and all its features, check out Pangea Design's seventh fully funded Kickstarter campaign before it ends on Monday, February 25th. This is a sponsored post presented by Pangea Designs. Compared to EDC knives of today, a more traditional gent's knife take things slowly. It's a statement piece in your everyday carry with a considered design that often lets you carry it places where you couldn't otherwise. They usually don't fling open without second thought, instead demanding a deliberate mindfulness and purpose with every use. That especially analogue experience, combined with handsome timeless styling comes with the added benefit of not drawing as much negative attention as your typical tactical folder. Luckily, knifemakers recognize the value of the gent's knife and have reimagined these antique designs today, often with better materials and more modern features. In this guide, we'll show you five of our favorite picks from this category as we continue onward this year.